Rocket Electrics was ready to expand its business renting and selling e-bikes — bicycles outfitted with small motors to give riders the boost they need to get up hills. They were looking for a small, mobile auxiliary rental store front that could move to follow their customers. 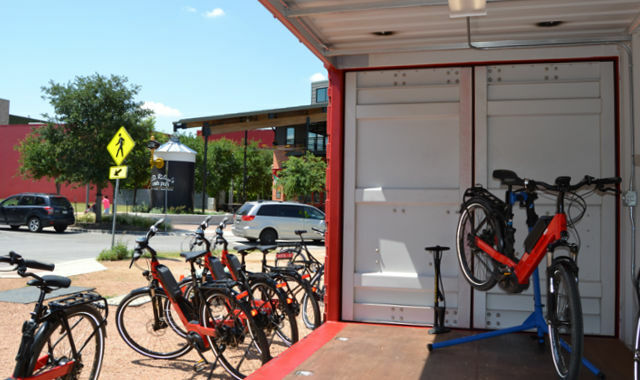 Rocket Electrics’ auxiliary location needed to be secure enough to lock up and protect their bikes from theft and vandalism. They also strongly valued creating a mobile but eco-friendly solution that could charge their bicycles without using generators. With help from our business partners at NATiVE, we fitted a shipping container with solar panels. The container has fully opening doors on its sides as opposed to the more common placement on the ends. 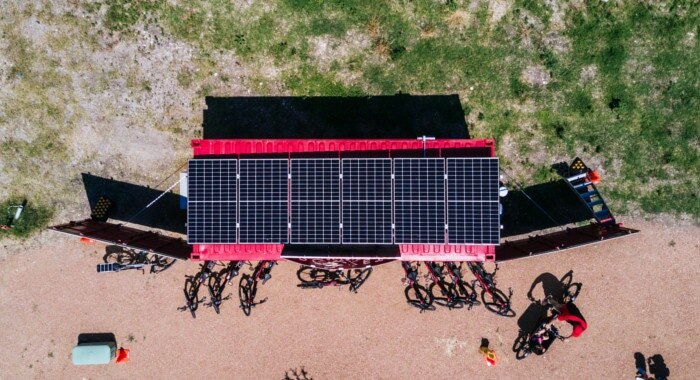 The solar panel on the roof produces enough power to charge the bikes without assistance from the grid. “We’re all about green and recycling, and containers are modular and easy to transport. Plus, they’re secure. These bikes won’t get abused,” said Rocket Electrics co-founder John Dawson. 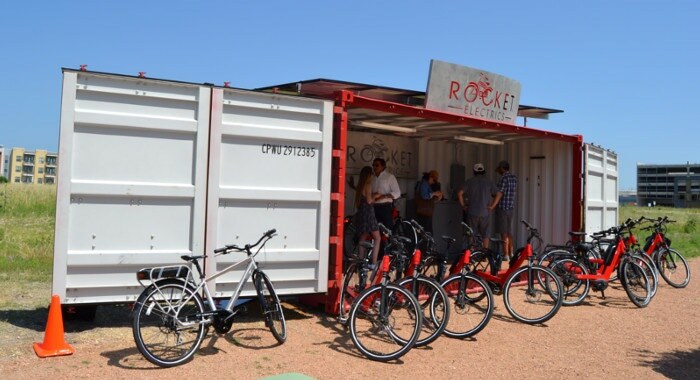 Thanks to the mobility and modularity of shipping container store fronts, Rocket Electrics can quickly scale their business whenever they’re ready to add additional locations. A specialty rack for the solar panels. 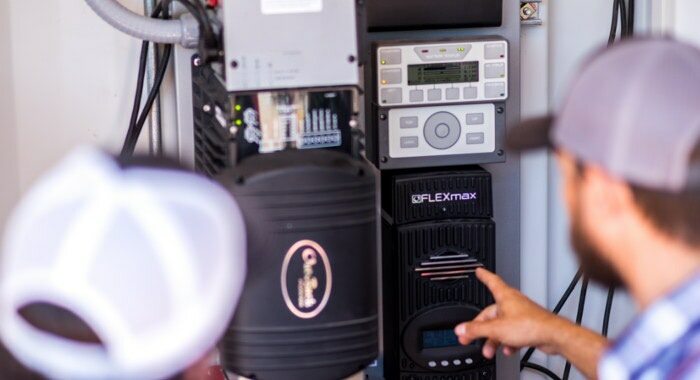 A battery system to store solar power. Full opening doors on the container’s side. A bright red coat of paint. Utility ports and conduit to power the bicycles. Thinking about created a containerized satellite store front? Contact us at 877-704-0177 or sales@falconstructures.com.